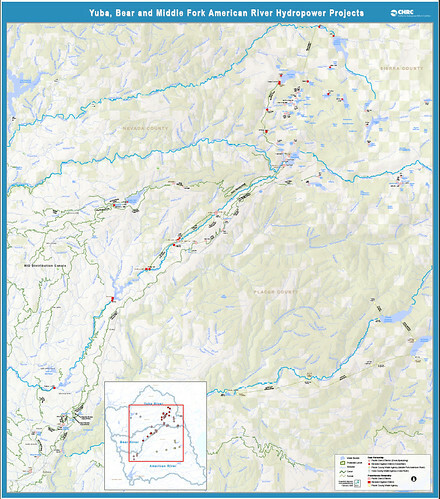 The Yuba, Bear and Middle Fork American Rivers are located on the west side of the Sierra Nevada Mountains of Northern California. Home to Chinook salmon, steelhead trout, the Foothill Yellow-legged frog and many other spectacular species, the three watersheds offer stunningly beautiful landscapes for many types of recreation. In order to address the many complex issues with the up coming relicensings and to educate and involve local stakeholders in the process, the Foothills Water Network was formed. The Foothills Water Network will help prepare stakeholders by hosting a series of workshops comprising the FERC Academy.